What Property Manager Duties Should You Delegate? Real estate investors don’t buy property on a whim or because they have money burning a hole in their pocket. You know this if you’re an investor but did you know owning real estate puts you on the most consistent path to income growth? If you don’t manage your real estate assets well you could also put yourself on the path to negative cash-flow. Owning real estate is about more than simply writing an offer and picking up the keys. How will you attract tenants? Who will fix the leaking water heater in the middle of the night? These are only two tasks investors must consider. Whether you invest in residential or commercial property you can’t do it all. Knowing which duties you can delegate to a property management company and which ones you can handle may mean the difference between spending your time on busy work instead of researching more investment opportunities. We’ve put together a mini-guide for what property manager duties you can (and should) delegate. Continue reading and see if you can imagine the peace of knowing your property is in good hands. Even seasoned investors aren’t always the best at marketing rental properties. Sometimes they overlook small cosmetic issues. Sometimes rental rates don’t align well with the local market. Professional property managers have information and tools at their fingertips that most business owners don’t. If you want your property marketed effectively why not use an experienced company? Let someone who knows advertising and sales help you turn prospects into paying tenants. Not only can they market your property, but they also understand the importance of screening tenants. One of the property manager duties you can hand over is weeding out potential problem tenants. Tenant screening can save you future headaches. A professional screening process identifies reliable tenants. Ideally, you want tenants who pay rent on time, don’t damage the property and don’t cause problems for you. Simply finding good tenants isn’t enough—keeping them happy so that they renew the lease is also important. Experienced property managers can quickly identify potential red flags in lease applications. They can spot the good applications and find supporting information about the prospective tenant. You have great tenants ready for moving day but the property management responsibilities don’t stop with an approved application. You’ve invested in your property hoping for consistent cash-flow, right? Consistent rent collection is the only way you ensure cash-flow. Save yourself the time and aggravation of rent collection and late payments. Yes, even though your management company screens your tenants, life happens and sometimes tenants are late with the rent. A property management company collects rents, late fees, and can handle evictions if necessary. Maybe you’ve already dealt with late-paying tenants and even eviction. Why not let a professional be a buffer between you and tenant problems? An experienced company understands tenant law and already has a process in place so that you end up with the best possible outcome if you face a tenant who has problems keeping rent payments current. When you have tenants who do pay rent consistently and don’t create other problems, retaining them is critical to your success. Your property management company also uses a tenant retention program or policy. This ensures satisfied tenants who stay longer in your property. Part of the retention program is effective communication and responsiveness. If you personally take on handling tenant complaints, you probably won’t have time for much else. Owning a multi-unit building only increases time spent managing communications with tenants. Part of the property manager job description includes communicating with tenants. Tenant complaints come with the territory but the most common thing they complain about is maintenance. Appliances break and hot water isn’t hot enough. Air conditioners don’t cool well enough and furnaces don’t turn on when it’s cold outside. Tenants also complain about other tenants. Neighbors are noisy at night. There’s a strange smell coming from one of your units. Property managers have heard them all but a good company addresses tenant complaints quickly and offer prompt solutions. Your property manager is your representative and when they take care of communications with your tenants you reap the benefits. 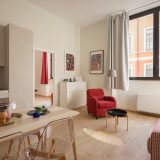 When tenant communications are taken care of in the right way, retention rates rise and you earn the reputation as a property owner who cares. Word of mouth is one of the best marketing tools and your satisfied tenants will refer people to you. Since maintenance issues are the most common tenant complaint, preventative maintenance is something a good property management company handles for their clients. When you hire a management company, you benefit from preventative maintenance schedules they already have in place. Preventative maintenance helps preserve your investments and it keeps your tenants happy. Systems catch maintenance issues before they become huge problems. As a result of a preventative maintenance program, your property management company can provide suggestions to you about needed upgrades in any of your properties. They can discuss the impact upgrades or modifications might have on rental rates, future maintenance, and property insurance. Worrying about maintenance and locating a handyman or other contractor when something goes wrong isn’t something you’ll worry about when you hire a management company. Included in property manager duties is hiring their own in-house maintenance staff and working with a group of vendors and contractor who provide the maintenances services for your property. Whether you own a single property, a multi-unit housing development, or commercial properties, you’ll need a wide range of services. Your management company works hard and ensures they hire quality vendors and contractors at the best price possible. Obviously, this saves you money but consider the time savings. A well-maintained property means satisfied tenants, which results in more renewed leases. 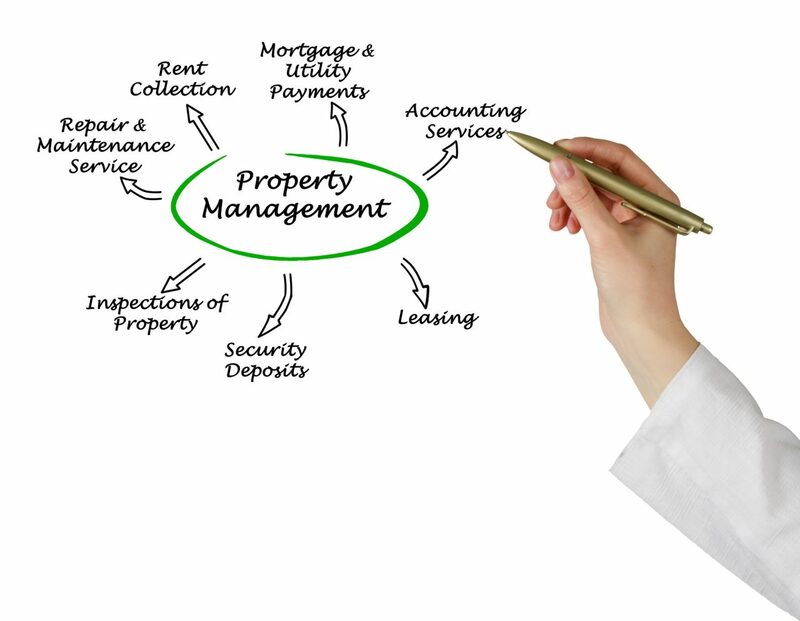 Property managers take care of the lease renewal process. Lease renewal means evaluating a tenant’s past behavior, the condition of the property, and often includes negotiations especially for commercial properties. You may not increase rents every year but eventually, increases are inevitable. 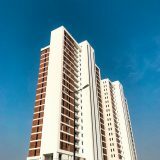 due to increases in the overall costs of property ownership. Unfortunately, you pass this along to your tenants. Attorneys write the wording of leases and your property management company enforces them freeing up your time and energy for other investment projects. Along with lease reviews, property managers also put together a set of financial reports so that you know what’s going on with your investment properties each month. As boring as reports may be, they’re the backbone of an investor’s business. Without reports, you have no way of keeping track of operating expenses, waste, or cash-flow. Reports also provide important information you’ll need at tax time. For an investment property owner knowing everything about the financial status of your properties means the difference between success and failure. That’s six reports you can cross off your to-do list (except for reading them). Did you realize the mountain of work you took on when you invested in your property? Finding a good property management company removes multiple items from your task list. Are you ready for help? Ready to Delegate Your Property Manager Duties? Most investors don’t realize how much work goes into making their property a cash producing endeavor. And most investors don’t relish the idea of managing every aspect of their investment. As you can see, property manager duties include everything from marketing your property to maintaining it and reporting on its performance every month. Why not hire a seasoned professional so that you can sleep at night knowing your investment is in safe hands? Contact us today and schedule a complimentary consultation. Let us show you how we can help maximize your investment.